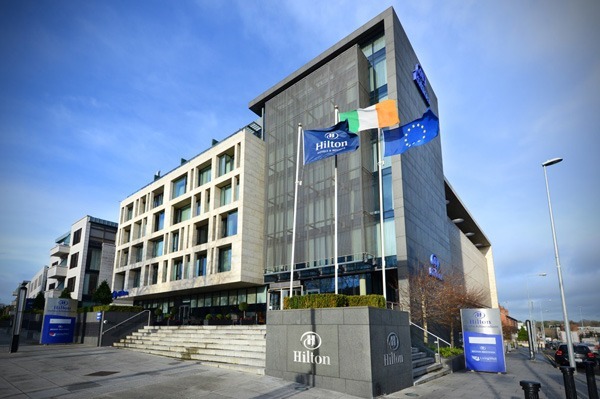 The Hilton Dublin Kilmainham is a 120 room hotel overlooking the Kilmainham Gaol Museum and the hotel is surrounded by some of Dublin’s premier attractions including the Guinness Storehouse, Royal Hospital Kilmainham and IMMA, Old Jameson Distillery, and Dublin Zoo. 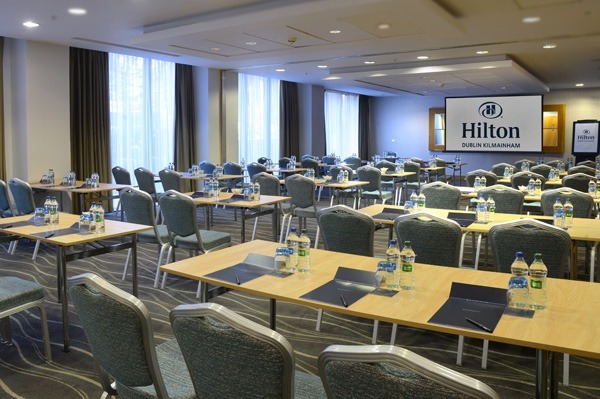 The Hilton Dublin Kilmainham hotel is just ten minutes by car from the city center and a short walk from Heuston Intercity Railway Station and the Luas tram. 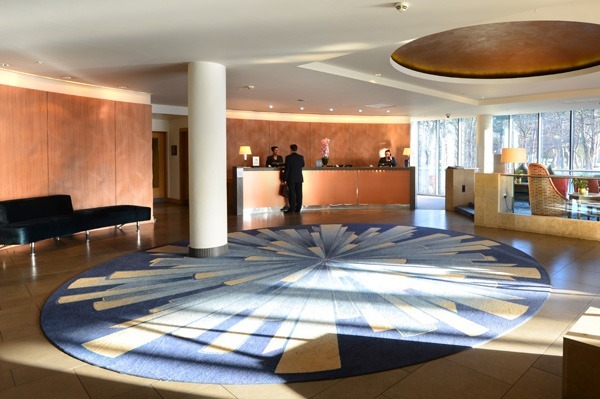 Each of the contemporary guest and deluxe rooms within the Hilton Dublin Kilmainham hotel feature stylish décor with a light and airy atmosphere. Get to work at the desk, check emails with WiFi or simply relax on the easy chair and watch the plasma TV. Upgrade to a deluxe room for spectacular views of the city and Dublin Mountains as well as special upgraded amenities including a large bathroom and luxurious cotton bathrobes. 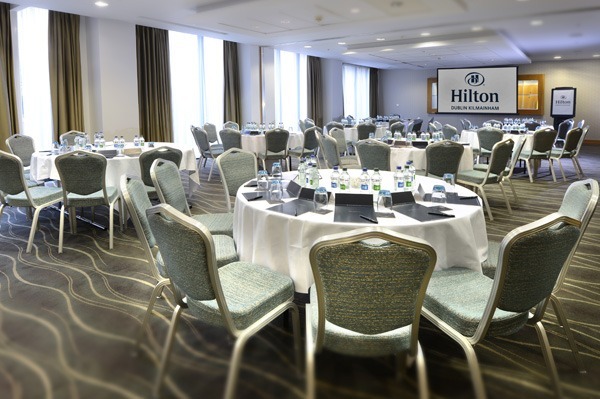 Perfect for corporate visitors and events, the modern meeting rooms can accommodate up to 150 people. 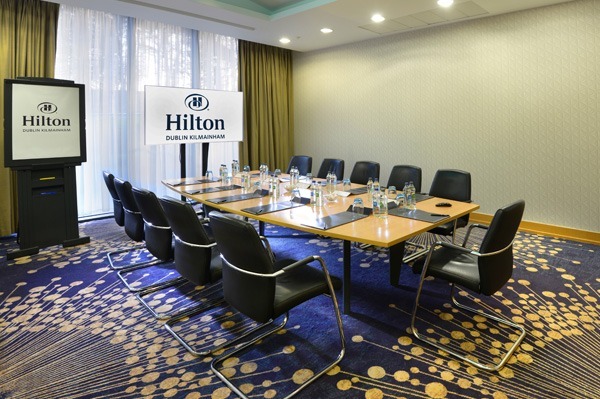 Stay connected with WiFi, business centre and video-conferencing facilities (on request). Relax in the LivingWell leisure centre, complete with soothing hydrotherapy pool. 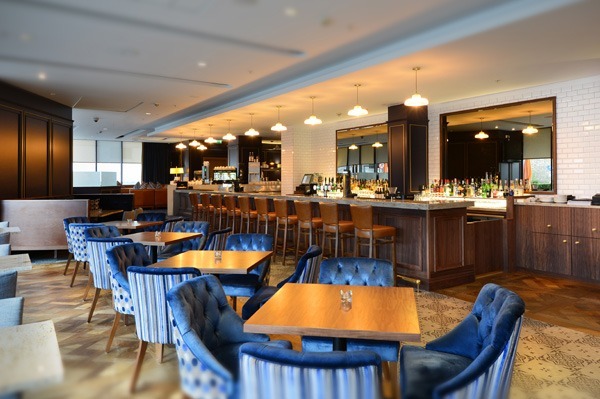 Try a taste of Ireland in Cinnamon Restaurant, serving seasonal, locally sourced food in a stylish, contemporary setting. Work out in our fully equipped gym using modern cardiovascular equipment. Unwind with a soak in the whirlpool spa, or indulge in evening cocktails at 4 Corners Bar and Terrace.